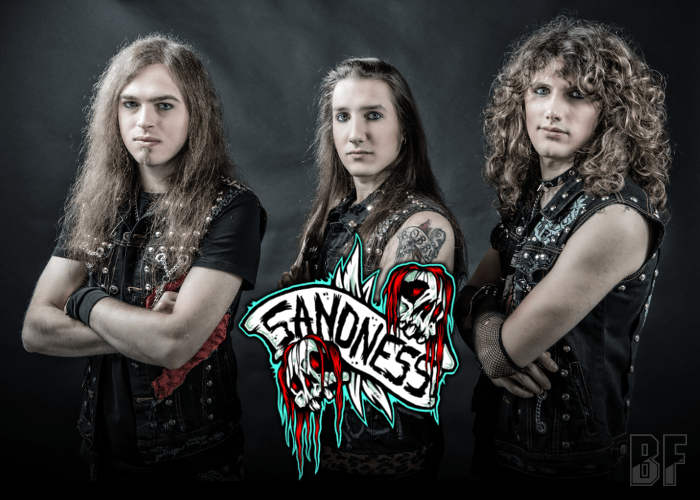 SANDNESS is an Italian 3 piece Hard Rock band started out in 2008 by two teenage friends, Mark Denkley and Metyou ToMeatyou, in order to bring the 80s Rock back to life with original tracks. The band released two EPs, as their first demo “Return To Decadence” (2010) and the second demo “Life Without Control” (2011), and two worldwide release albums through Sleaszy Rider Records, “Like An Addiction” (2013) and “Higher & Higher” just released on December 16th, 2016. 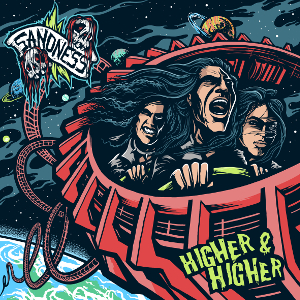 SANDNESS went on a short tour in the Latvian capital Riga in 2011 and played at the renowned “Glam Fest” in Marseilles, France in 2012. The band also went on several European tours (2013 - 2015) and gained fans from all over the Continent. They had the opportunity for a support band for renowned musicians such as Adam Bomb (2010), L.A. Guns (2011) and Tygers Of Pan Tang (2015). The dates of their European tour 2017 to promote their new album will be announced very soon. For fans of Motley Crue, Crashdiet, Poison, Michael Monroe, Hanoi Rocks, W.A.S.P., L.a.Guns, Cinderella, Reckless Love, Ramones, Rolling Stones, Billy Idol, ZZ Top, Black Sabbath and Ozzy Osbourne.